The whole of the island of Bermuda with offlying ledges and reefs. Scale: 1 : 60.000. Larger scale plans of Dockyard Marina, St George's Harbour and Hamilton Harbour. Fully updated with the latest known depth surveys and harbour developments. 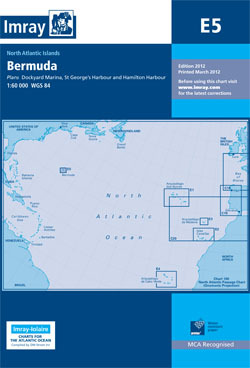 A new Approaches to Bermuda plan has also been added to the reverse.